RetiredSwarovski.com has new printable for Swarovski retirements: Disney, Lovlots, Soulmates, and Chinese Zodiacs. These free and easy-to-use PDFs provide valuable information on Swarovski crystal figurines, conveniently organized by product line. Retired Swarovski . com : a Terrific Site for getting information about Swarovski Retirements. RetiredSwarovski.com is a web site that is sponsored in part by Warner’s Blue Ribbon Books on Swarovski and other companies that offer Swarovski-related services. While the site is consistently being updated with retirement announcements, the most recent addition to the site includes useful, informative printouts of retired Swarovski figurines. 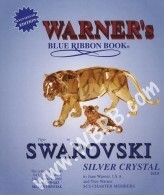 RetiredSwarovski.com first launched the Swarovski Ornament fact sheets in September 2010. The response from collectors was strong….they wanted these fact sheets for more product lines. New to the site are fact sheet for the following product lines: Swarovski Disney, Swarovski Lovlots, Swarovski Soulmates, and Swarovski Chinese Zodiacs. The facts sheets for these product lines are grouped together for now due to the smaller number of retirements in the products each year. The fact sheets contain miniature photos of the figurines, name, part number, system number, and Swarovski designer, and years in production. In contrast, the Swarovski ornament fact sheets organized by year and for ornaments retiring 1981 through 2009. RetiredSwarovski.com has a vast amount of information about discontinued Swarovski crystal, and pending Swarovski retirements. The site navigation allows crystal collectors to view Swarovski retirements alphabetically in the Swarovski library, or browse by year in the Swarovski Retirements. Additionally, there is also a section on the site for Swarovski crystal that is “retiring soon” and it is frequently updated as the company Swarovski announces Silver Crystal figurines that will soon be discontinued. RetiredSwarovski.com also includes retirement information for Swarovski Silver Crystal, Swarovski Crystal Moments, Swarovski Home & Interior, and Swarovski Paradise. All this fantastic content that is certain to be of interest to Swarovski crystal fanatics. Since the site sponsors have personal interest in Swarovski, RetiredSwarovski.com contains information about the sponsors’ products and services. 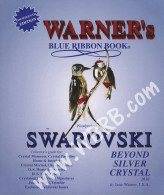 Swarovski collectors can also learn more about the Swarovski catalogs offered by Warner’s Blue Ribbon Books on Swarovski. The Swarovski catalogues can be purchased with color photos, black and white photos, or via an online subscription service. If a collector is trying to establish the Swarovski value of a collection for insurance purposes, these catalogs are essential. Warner’s Blue Ribbon Books has an extremely reliable record of annually publishing their books for the past 18 years. They can be found at http://www.wbrb.com . For a minimal fee, wbrbonline.com offers an annual subscription service that allows subscribers to run queries on Swarovski crystal items, using the name, part number, or system number, to retrieve beneficial facts on the crystal figurines, including designer, dimensions, and Swarovski values (suggested insurance value), photos, and more. For those collectors who may need restoration services, RetiredSwarovski.com contains information about repair and restoration, and a company that specializes in restoring retired Swarovski…..The Crystal Wizard. These Swarovski restoration experts can be found at tcwizard.com. For Swarovski crystal owners looking to buy or sell Swarovski, collectors can learn more about Crystal Exchange America at CrystalExchange.com. Crystal Exchange America has over 14 years of experience and assists collectors adding crystal to their Swarovski collection as well as helping those who want to liquidate Swarovski crystal collections or sell only a part of them. Crystal Exchange America, a retired Swarovski dealer, specializes in discontinued and retired Swarovski crystal. The company Swarovski is NOT affiliated with the RetiredSwarovski.com, nor does it produce content for the site.